Every trip you take is an opportunity to make money. Says a Singapore based startup, aptly called, Triptunity. Almost like earning miles on your preferred airline. 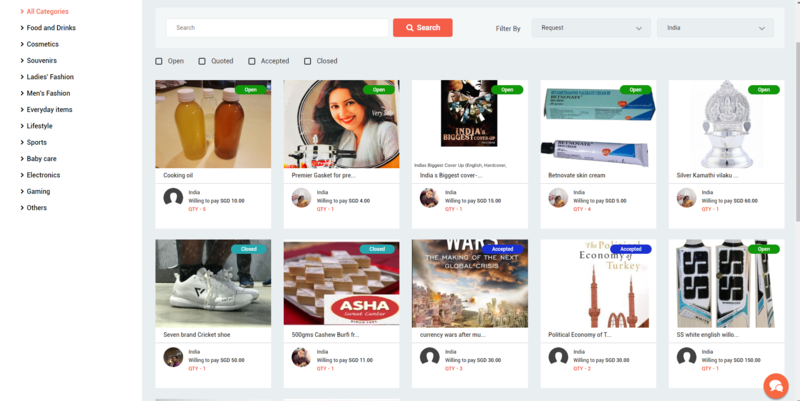 Triptunity has created a community of international travelers, especially Indians living in Singapore, who can make money as and when they travel. It works in two easy ways for people who want to shop or “Shoppers” and folks who are flying in or out of Singapore the “Travelers”. In the first case a Shopper, after having become a member of the Triptunity community, expresses her or his need for a specific item, which is required by her or him from anywhere in India. Could be a specific Lakme eyeliner, the latest book from Devdutt Patnaik or a shirt with a specific shade of blue only available in Park Avenue stores or a sweet or a snack from your favourite shop back home. Shopper declares that item needed and quotes the actual price, say SGD 10 and the price he is willing to pay to anyone, a Traveler, to fetch the item for, say SGD 15. 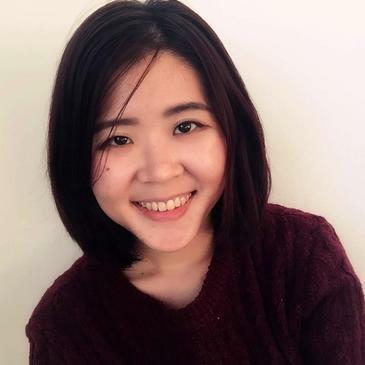 Multiple Travelers can respond to the Shopper who undergoes a price negotiation via Triptunity chat in private, staying in Triptunity safe and secure environment and settles on a price. Once the quote is accepted, Shopper deposits the cash to be paid to the Traveler in the Triptunity wallet, powered by PayPal. As soon the delivery is made by the Traveler, money is released to the Traveler securely. To ensure timely and proper delivery Triptunity has shipping partners in India and in Singapore. A member of Triptunity community is ready to pay SGD 15 if someone is willing to bring him a copy of India’s Biggest Cover-up, a book on Netaji Subhash Chandra Bose, which costs INR 380 or SGD 7 approximately in India. With India leading the charts of growth in tourist arrivals at 16 percent followed by China (+13 percent), Triptunity seems to be an opportunity, ready to explode. The top three largest markets for visitor arrivals were China, Indonesia, and India. The second offering in Triptunity called Host a Pre-order takes it a few levels higher. In this case, a Traveler posts an item she or he is happy to bring from India or vice versa in a larger quantity. Shoppers in the Triptunity community can place a preorder to buy the item from the Traveler. With the advent of the festival season, scented tea lights are emerging as a fast selling item on Triptunity. 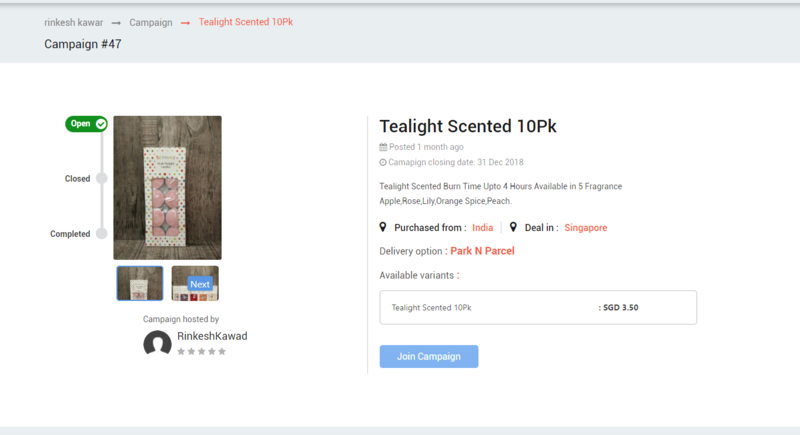 In one particular instance a member, Rinkesh Kawad, is offering to get a packet of scented tea lights from India at SGD 5. 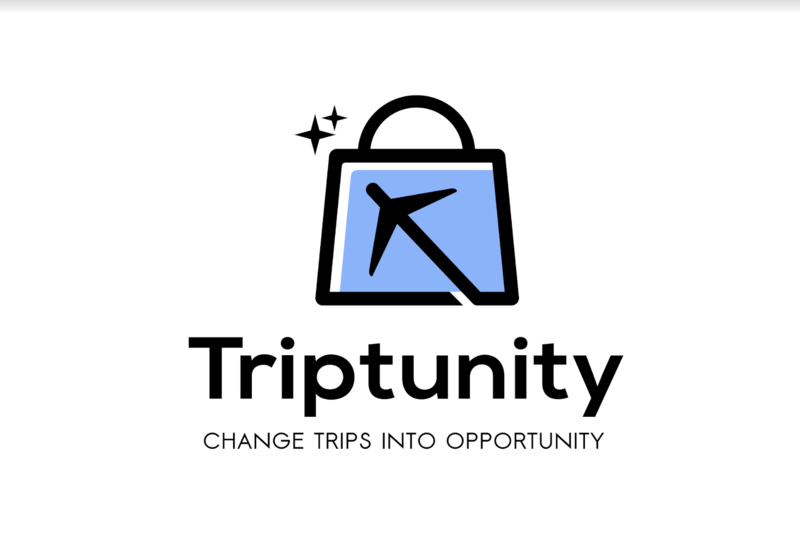 Triptunity seems like a social shopping activity, bringing in advantages of e-commerce combined with in-person commerce. It offers a huge opportunity to the highly mobile Indian community, to make more out of their travel. Allowing people to fetch or sell products from across categories like cosmetics, apparel, confectioneries, shoes, luggage, books, stationery and in some cases that important power of attorney, you as an NRI has to ensure reaches your city back home in India. You can actually make the extra luggage space pay for itself and reduce your travel cost or make some pocket money if you are a student. Recently launched, August 2018, peer to peer marketplace already claims to have 150+ members. Only time will tell if Indians in Singapore will bite this Triptunity.